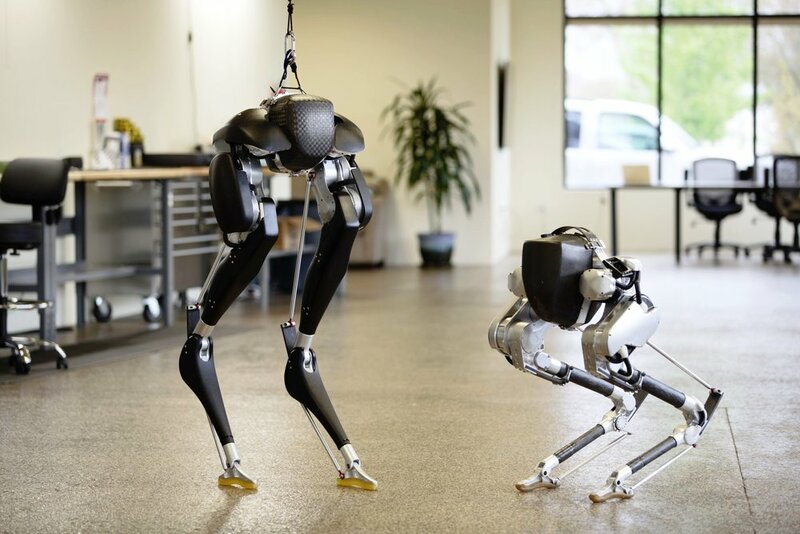 Research machines: Cassie, a bipedal robot for walking and running, is available for research and development markets. A key strength at Agility Robotics is our careful consideration of the interaction between passive dynamics, which are generated by the physical hardware such as springs, and software control. We gain insights from animal morphology and behavior, while making design choices appropriate for robots. We build upon a simple spring-mass model, originally created to explain animal running and walking gaits, and first demonstrated on a machine with ATRIAS. By building machines and designing controllers based on this scientific foundation, we are targeting the agility, efficiency, and robustness of animal locomotion.